FilmLand Empire: Ninja Assassin tackles BP oil spill! 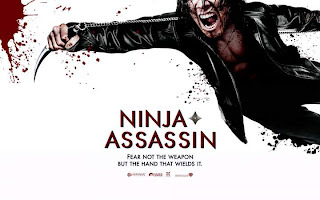 Ninja Assassin was am outrageously enjoyable guilty pleasure that sadly sank without trace at the box office last year, with frenetic gory action and ninjas galore, reminding me of the video game Ninja Gaiden in its OTT violence. It was directed by James McTeigue who, after V for vendetta, seems to have become the directing puppet of producing Wachowski brothers. The story was thinner than a shuriken which really makes me wonder with what angle the writer is considering for his new project. 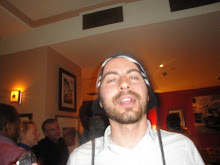 But then if you think about it, a ninja would have made things so much easier in real life. Who wants a boring and expensive, months long trial and a contrived yet still smug CEO. The public wanted blood! What they really wanted is a ninja assassin slicing and dicing the board of BP directors, then using his super ninja skills to swim unaided down the leak and fix it with his bare hands!